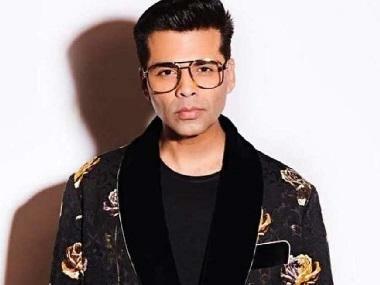 Karan Johar is taking his elocution skills to the next level with his own radio show. The filmmaker-producer recently made his debut as an RJ with Calling Karan on Ishq FM, which is India's only romantic radio station. The show is dedicated to the many 'firsts' of a person's love life. In this chatty show, Johar connects with his listeners and also shares advice on how to deal with problems in their love life. The first five episodes have already aired, but for those of you who couldn't catch up with it, here's a lowdown on what transpired. The first episode of the show is centred around Karan's first time as a radio jockey. He plays songs from his own hit films, as well as others. The second episode is based on casual dating and working together to remove the labels which relationships are expect function within. The third episode is about that dreaded ex and what to do if you are rekindling a relationship with a former lover. Johar plays songs like 'Channa Mereya' and 'Maana Ke Hum Yaar Nahi' to set the mood right. Moving on from exes, the fourth episode focuses on online dating and what it holds for a first-timer. The fifth episode, the most daring one, focuses on the good, bad and ugly side of having an office romance. The episodes also have a round of Reverse Rapid Fire, wherein listeners can call in and ask Karan whatever they want to. The show airs from Monday to Friday. twice a day.